Skiers and riders spend fall and early winter praying for powder. But across the Tahoe Basin, ski resorts are taking weather into their own hands, installing a new crop of snowmaking machines to assure a deep, season-long snowpack. Snowmaking is just one of the many areas of investment across Tahoe’s resorts, where the industry is going green, making progression a priority and launching the first winter of new pass products. 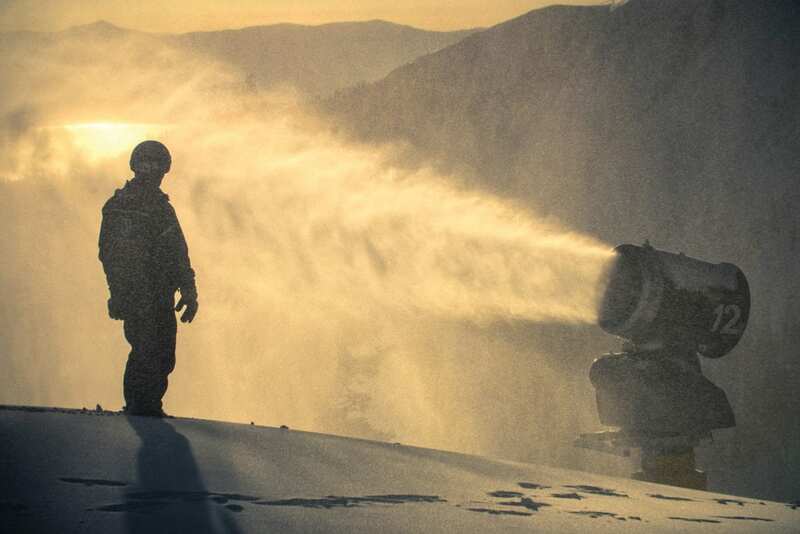 Sugar Bowl Resort is investing in an $8 million snowmaking system. The first $3 million went toward doubling the resort’s water pumping capabilities, simultaneously lessening the energy and time spent covering its terrain by two-thirds. This initial investment will also shift primary resort operations from the Village Lodge to Judah Lodge. Intent upon offering one of the longest seasons in Tahoe, Mt. Rose Ski Tahoe spent $2 million to bring 17 new snowmaking towers to its slopes, plus high-capacity pumps to boost output. Alpine Meadows increased automation and added three high-tech fan guns armed with air and temperature sensors that sense the best snowmaking times, and better control the quality and quantity of snow production. Boreal and Northstar have also busted out the big guns. Improvements to Boreal’s snowmaking system added another 6 acres to the resort’s beginner terrain, while Northstar’s 24 new low-energy snow guns help cover Lower Washoe and Luggi’s trails. Another 12 low-energy snow guns boast new heads, allowing Northstar to create snow in warmer temperatures. On Tahoe’s West Shore, Homewood Mountain Resort, which offers lift tickets starting at $49, has also invested in new portable snowmaking equipment as well as upgrades to its snowmaking automation. The resort also conducted top-to-bottom brush clearing on trails under the Madden and Ellis chairlifts and purchased a new cab for its guided Snowcat Adventures operation. Many Tahoe resorts have set goals to curtail their environmental impact. Diamond Peak is the first Tahoe-area resort to become STOKE Certified, which stands for Sustainable Tourism Operator’s Kit for Evaluation. STOKE Certified is an independent organization with a mission to help ski tourism operators develop sustainable and environmentally responsible systems using criteria established by the nonprofit Global Sustainable Tourism Council. With the help of the STOKE team, Diamond Peak began selling reusable water pouches and installing refill stations, invested in 28 high-efficiency snow guns and towers, and reused old trail map signs as new terrain park features. An independent evaluator rewarded their efforts with a 78 percent compliance score, making Diamond Peak the second ski area to receive STOKE certification, behind Mt. Ashland in Oregon. They’re not alone in their environmental concern. Squaw Valley Alpine Meadows will run on 100 percent renewable electricity, sourced from a nearby solar plant, as early as December 1. Signing a green tariff with Nevada’s Liberty Utilities enables the resort’s entirely renewable electrical supply to be purchased at an additional cost that also supports other renewable energy projects for the utility company’s 49,000 regional customers. New waterproof, tear-resistant trail maps will also be printed on 85 percent recycled paper, saving 170 trees and 136,000 gallons of water. Tahoe’s trifecta of Vail Resorts-owned ski areas have all committed to the Colorado mothership’s environmental credo. “In line with our ‘Commitment to Zero,’ all of Vail’s Best of Tahoe Resorts—Heavenly Mountain, Northstar California and Kirkwood Mountain—are focused on the following goals: zero net emissions, zero waste to landfill and zero net operating impact to forests and habitat, all by 2030,” says Heavenly’s sustainability manager, Frank G. Papandrea. 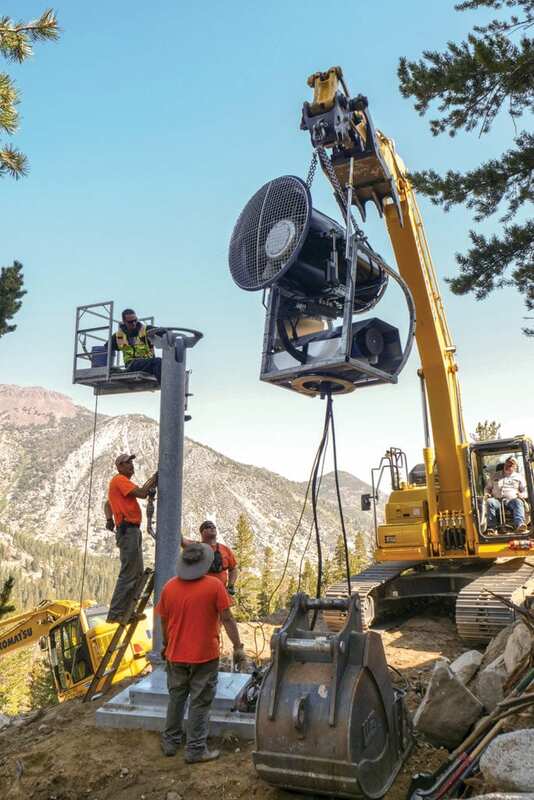 This commitment inspired the recent upgrading of Heavenly’s new triple-lift Galaxy Chair using 18 reclaimed Colorado resort towers, and its snowmaking department’s installation of 48 high-efficiency snow guns along the Nevada and Boulder trails. 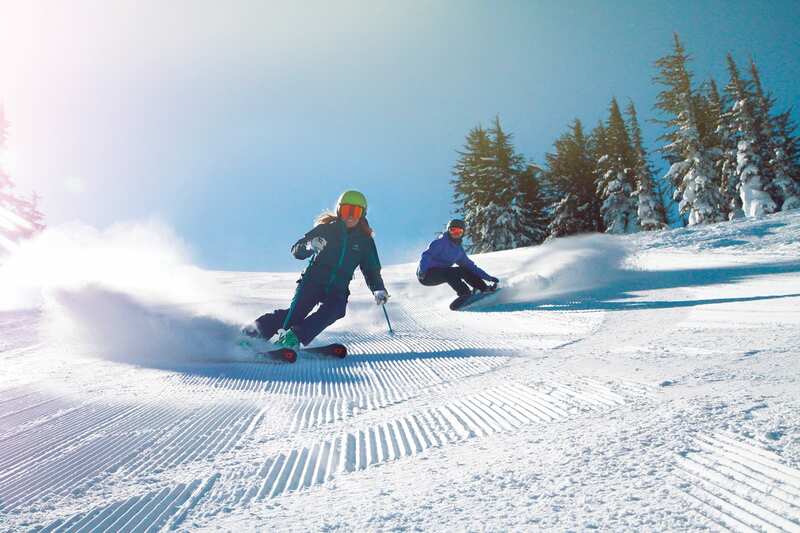 Taking on the slopes can be intimidating for first-timers, so several resorts are boosting their beginner programs. New programs aren’t just for newbies, with several geared towards those looking to freshen up their technique or their park prowess. Boreal’s new triple-capacity California Cruiser lift provides access to beginner terrain. Sugar Bowl has a new series of daily “Slide, Glide and Ride” sessions, introducing skiers and boarders ages 13 and older to equipment and basics. The resort also opened a slopeside parking lot, available to the first 50 families through advanced reservation for those with kids enrolled in their ski and snowboard schools. 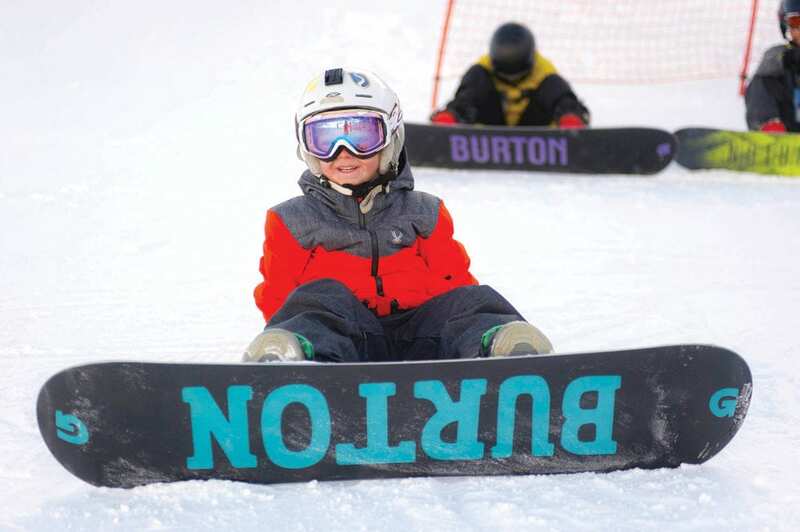 Squaw Alpine is offering instructors trained by the Burton Resort Team in designated learning areas at the new Burton Riglet Parks for kids under 5. Group lessons for 3- and 4-year-old snowboard students have also been added. Beginner and intermediate skiers and riders will now also have access to printed progression plans in the resort’s portable trail maps and on several trail map signs. Walk-ups seeking to revive their skills can try new private Pop-Up lessons, available after 10 a.m. for $119 per person, per hour, and $49 for one additional student. Long known for being beginner-friendly, Diamond Peak made its School Yard run even more inviting for first-timers with a recent re-grading to make it more consistent, wider and open. The resort also added The Village at Diamond Peak, a new lower-mountain terrain park accessible from all areas of the mountain. Built to encourage skill progression for all ages and abilities, the new park serves up a grand array of jump lines, boxes, rails and other man-made snow features in a centralized area. For those looking to expand their options beyond Tahoe, the new Ikon Pass is good at Squaw Alpine as well as 35 other ski areas around the globe. Diamond Peak’s season passholders can get access to 72 complimentary lift tickets at 18 partner resorts in the United States and overseas, and Sugar Bowl has joined the Powder Alliance this season, providing unrestricted season passholders access to free and discounted tickets at 18 destinations around the world.